Republican frontrunner Donald Trump was the driving force in the presidential race this week, facing criticism for comments on abortion, foreign policy and nuclear weapons. Will his latest comments slow his momentum ahead of the Wisconsin primary? In the Democratic race, Bernie Sanders and Hillary Clinton traded attacks on campaign financing, trade and abortion. Can Clinton maintain her lead in the delegate race? And the Supreme Court justices were evenly divided on a case involving union dues. Reuter's Joan Biskupic explains how the death of Justice Antonin Scalia is impacting the Supreme Court. Meanwhile, President Obama's nominee Merrick Garland is meeting with senators on Capitol Hill. GWEN IFILL: Candidates descend on Wisconsin and reveal even more about what kind of president they’d be. Plus, the practical consequences of failing to confirm a ninth, tie-breaking Supreme Court justice. That’s tonight on Washington Week. CHRIS MATTHEWS: Do you believe in punishment for abortion, yes or no, as a principle? DONALD TRUMP: The answer is that there has to be some form of punishment. MR. MATTHEWS: For the woman? MR. TRUMP: (From video.) NATO is obsolete. It was 67 years or it’s over 60 years old. It is many countries, doesn’t cover terrorism. ANDERSON COOPER: You’re running for president of the United States. MR. TRUMP: Excuse me, excuse me. I didn’t start it. I didn’t start it. MR. COOPER: But sir, with all due respect, that’s the argument of a 5-year old. MR. COOPER: Yeah, the argument of a 5-year old is he started it. MS. IFILL: Just when you thought this year could not get any more weird, brawls break out. FORMER SECRETARY OF STATE HILLARY CLINTON: (From video.) Donald Trump is showing us exactly who he is and we should believe him. SENATOR TED CRUZ (R-TX): (From video.) It shouldn’t be complicated that members of the campaign staff should not be physically assaulting the press. OHIO GOVERNOR JOHN KASICH (R): (From video.) If the nominee is somebody that I think is really hurting the country and dividing the country, I can’t stand behind them. SENATOR BERNIE SANDERS (I-VT): (From video.) Secretary Hillary Clinton and I have very strong differences of opinion going way, way back. MS. IFILL: Meanwhile at the Supreme Court, the justices face the first big test of their four-four divide as more Republicans line up to meet the president’s nominee, Merrick Garland. Covering the week, Dan Balz, chief correspondent for The Washington Post; David Sanger, national security correspondent for The New York Times; Jeff Zeleny, senior Washington correspondent for CNN; and Joan Biskupic, legal affairs editor for Reuters. MS. IFILL: Good evening. Loyalty pledges collapse, criminal charges are filed, and candidates for president begin using phrases like “absolute train wreck.” What made this week different than past weeks? Candidates on both sides of the aisle began to face up to Trumpian reality. He is leading in delegates, trailing in the latest polls in next-up Wisconsin, and he is incredibly unpopular in national surveys. And he won’t promise to stay in the party if he loses. MR. COOPER: Do you continue to pledge, whoever the Republican nominee is? MR. TRUMP: No, we’ll see who it is. MS. IFILL: But Trump did accomplish something remarkable this week. He managed to get anti-abortion and abortion rights activists to agree on something: that he was wrong when he suggested women should be punished if they were to have an illegal abortion. His opponents pounced. GOV. KASICH: (From video.) As commander in chief and leader of the free world, you don’t get do-overs. You need to be able to get it right the first time. SEN. CRUZ: (From video.) Donald doesn’t have any answers. He talks about jobs. Listen, we all agree we want more jobs. Donald, how do we get more jobs in America? Donald’s answer is we wave the magic wand and we sprinkle pixie dust. MS. IFILL: Let’s start with the pixie dust. (Laughter.) Is that what we have come to expect now, Dan? DAN BALZ: I don’t know if it’s pixie dust. I think there’s a little bit, though, in the last two weeks of the emperor not having many clothes, at least in terms of Trump’s ability to either lay out a coherent philosophy or to articulate the details of whether it’s domestic or foreign policy issues. I mean, it obviously caught everybody’s attention on the abortion issue, not simply for how far out he went in talking about punishment for a woman who has abortion, but also how quickly he pulled it back and that he had to do two statements to try to get himself back within the bounds of what is acceptable to either side. MS. IFILL: And then today he talked to our friend John Dickerson at CBS and basically said two different things. MS. IFILL: He said on the one hand, yes, I think that the laws should stay as they are, on the other hand abortion is murder. MR. BALZ: He’s looking for a safe place to talk about abortion. And so today in his interview with John was this is settled law essentially and so there’s nothing I can do. But when pressed on the question of is abortion murder, he said yes, he believes it is. But you know, this isn’t the only issue, as David will be able to explain in a few minutes. And so I think he’s been through the two worst weeks of his candidacy. And what it has done, I think, is emboldened his opponents, particularly Ted Cruz and, to some extent, John Kasich, and all of the people who think that there might still be a way to prevent him from becoming the nominee. MS. IFILL: Well, David, since you had a roll in this being one of the worst weeks of his candidacy, in your interview with him, purely on foreign policy, it felt like he was groping, grasping for straws a lot of the time. DAVID SANGER: It did. And I think the reason was that, as he says himself, he’s been in business, he’s been building buildings around the world, he’s been running “The Apprentice.” And when you’re doing that, you don’t spend a lot of time thinking about alliances or nuclear weapons. And so when he’s asked about these things, it’s frequently his answers are de novo. He is sort of coming to this without any briefings, you know. Usually at this point in a campaign, March or April, there are big stacks of briefing books and the candidate is supposed to be going through them if they have some time. MS. IFILL: Well, let’s just talk about the nuclear part. OK? He said that it was OK, that he wouldn’t rule out using nuclear weapons on Europe. And most presidents would not take things off the table, but this seemed a little extreme. He also said it wouldn’t bother him if Japan and South Korea had nuclear weapons. Aren’t we supposed to be moving in the opposite direction? MR. SANGER: Well, we are, and Washington just finished up two days of a nuclear security summit that were all about how it is that you limit both nuclear materials and keeping more nations from getting nuclear weapons. It was interesting how he got there, Gwen. He had not talked about nuclear before. And when my colleague Maggie Haberman and I finally got the chance to do what was a hundred minutes on just foreign policy, he started talking, as he has many times before, about the need to pull back from our alliance with Japan if they don’t pay more. They already pay more than most allies. And so what I said to him was, well, look, if you do that, then Japan’s going to be less certain about our nuclear umbrella over them and they may go off to build weapons, do you have any problem with that? I don’t think, based on the answer, that it’s something that he had spent much time thinking about before, and so he said, I don’t have a problem with that. And you saw President Obama answer him pretty hard today at the news conference at the end of the nuclear summit. JOAN BISKUPIC: But that raises the point of what preparation he has. When you think from a domestic issue like abortion, he seemed unaware that Roe v. Wade had been the law of the land since 1973. And then the kind of preparation or lack of preparation that went into this, does this raise the prospect of an open convention? I mean, is this just all mounting evidence that he might not get to the point that he wants to be? MS. IFILL: And if I can piggyback on that, two weeks ago Republicans seemed like they were coming around to the idea that he might be the nominee, mainstream Republicans, but now this week I felt a shift. MR. BALZ: I think there has been a shift, and it’s psychological in some ways, it may not be mathematical. Wisconsin has a primary on Tuesday. The polls show Ted Cruz ahead at this point. That could be certainly a psychological turning point, if not a mathematical one. I think Donald Trump is somebody who operates on instinct. And often his instincts are pretty good, as we’ve seen in this campaign. But on these issues, those instincts have failed him and they’ve failed him pretty badly in recent weeks. And I think it does create a heightened sense among Republicans about, what would we be in for in the fall if he is the nominee? And if you get to an open convention, I think that issue is even more on the table. JEFF ZELENY: What is it about Wisconsin that might be different? Is it just that, you know, it happens to be voting sort of on its own next week and all of this is happening and they’re getting the first crack at this? Or is it something different about the voter in Wisconsin and what they’ve been exposed to over the last several years that they’re essentially at least rejecting him, in some respect? Talk radio is not pro-Trump in Wisconsin. What do you make of what’s happened to him there in the last month? MS. IFILL: Which means anybody can vote, any party. MR. BALZ: Anybody can vote. And your point on talk radio, talk radio has been very hard on him. Talk radio in Wisconsin is much more allied with the Republican Party establishment and the Republican Party establishment, as we know from 2010 going forward, 2010 being when Scott Walker was elected, the party in Wisconsin has been more integrated between tea party and non-tea party, so there is that cohesiveness. But this is a state that ought to be better for Trump than it appears to be. It’s not the Iowa caucuses. It’s more like Michigan, and he did well there and he’s having trouble. And I think, to some extent, it’s that Cruz has worked the state very effectively. But to some extent, I think it has to do with what people are seeing and hearing and these constant, you know, attacks from talk radio and now Governor Walker who’s endorsed Ted Cruz. There’s just a lot that’s building up against him. And he hasn’t had a good way to counter it. MS. IFILL: You know, David, one of the things that Dan just mentioned is what happens with the establishment GOP and Donald Trump. How much do his foreign policy ideas, to the extent they’re thought through, how much do they align with the mainstream GOP? MR. SANGER: His solutions don’t align at all. Some of his prescriptions of what has gone wrong you hear echoes of in both Democrats and Republicans. When he says that Saudi Arabia has been not holding up its part, not fighting ISIS the way it should and so forth, it’s not all that far from Barack Obama saying that Saudi Arabia is a free rider, which he said just a few weeks ago. MS. IFILL: Well, a deal-making calculus, right? MR. SANGER: Right. So it’s a deal-making calculus for every relationship that ignores, or at least has ignored until now, that there are other values to alliances, that we put our troops out in Asia or in the Middle East because there’s an advantage to us to have them forward deployed – that it brings us intelligence, it puts us closer to potential trouble spots and that it keeps the peace. MS. IFILL: And the thing I want to make sure we talk about is that one of the things about Donald Trump is he sticks his heels in sometimes and no matter what you can’t get him to move. And that happened this week when his campaign manager was charged with simple battery for roughing up a reporter. And he would not back down at all. MR. BALZ: – doubled down, tripled down, quadrupled down. I was in Janesville where he had a rally that afternoon, Janesville, Wisconsin, and he went right at that issue as part of what he said to the audience there. And you know, on the one hand you could say it’s admirable he’s not going to abandon him. He said, you know, I’m not going to ruin his life over this. But on the other hand, you would think under these kinds of circumstances that something would have been done in which Corey Lewandowski would have quietly taken a leave of absence or something. MS. IFILL: Well, the instinct is always to say they expect me to do it, I’m not going to do it, which may explain that. MS. IFILL: With a pen. MR. BALZ: – with a pen and that she had reached out to try to grab him. Even Democrats cannot resist the lure of Trump. Bernie Sanders and Hillary Clinton are still sparring with each other, but it’s becoming clear each would rather train their fire on the person they see as a flawed potential nominee. Clinton with her eye on the competition coming up in New York released this ad this week. MRS. CLINTON: (From video.) When some say we can solve America’s problems by building walls, banning people based on their religion and turning against each other, well, this is New York and we know better. MS. IFILL: And Sanders has taken a page from Trump’s book, boasting selectively about polls. MS. IFILL: So are they battling each other or are they looking ahead to the fall fight, Jeff? MS. IFILL: This is not a joke. MR. ZELENY: Right, it’s not a joke. (Laughter.) And they realize it’s not a joke. Remember the night of the New Hampshire primary when she lost New Hampshire so big? A campaign memo went out around 8:00 that evening. It arrived in our inboxes sort of right before she conceded and it said, you know, it was designed to sort of, you know, calm any jittery supporters and there were a lot of them. It said, you know, the nomination is not won in February, it will essentially be won in March. MR. ZELENY: It does, right? MS. IFILL: It did, yeah. MR. ZELENY: That was early February. Being on the road this week with both candidates in both states, Wisconsin and New York, you’re struck by both of them are still making an electability argument. But Donald Trump is sort of a foil. Hillary Clinton is running that ad in New York. It’s not as much about Donald Trump, it’s about Bernie Sanders. She would not be running that ad in New York City, spending the money it takes to run ads in New York City, if she was not trying to show Democrats, look, I’m the one who can beat Donald Trump. MR. ZELENY: I’m the most electable person. His biggest hurdle so far has been trying to convince people to take a leap of faith with me. You know, you kind of like what you see, all the disruption on the Republican side, let’s have a little bit of disruption over here. So that’s why he talks about his poll numbers. I asked him about that a couple of weeks ago. Why do you keep talking about poll numbers? He said people have to know that I can win. MR. ZELENY: And that is the big hurdle here. But it’s interesting the degree to which both of them are still talking about electability. But as we sit here tonight, there are tensions in the race. You may have seen that video come out this week where an environmental activist just yesterday in New York asked her a question about why is she accepting money from the fossil fuel industry. And of course, you can’t accept money from corporations, but she does accept money from lobbyists who make their money and their livelihoods from corporations. And she shook her finger in the person’s face sort of and she, you know, said stop, I’m sick of the Sanders campaign lying about me. So it is tense out there tonight. MS. BISKUPIC: – what makes it distinct, about New York? Wouldn’t we have thought New York would have been more predictable than this? And is it that people are just taking that leap of faith more than we would have expected too? 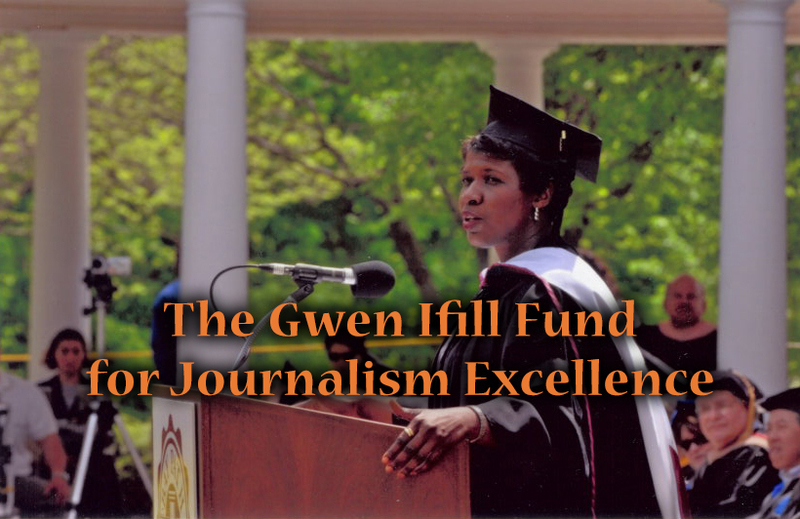 MS. IFILL: Or is it there are three New Yorkers in this campaign? MR. ZELENY: Well, that is – I mean, not in a long time, since 1988 I guess, has there been such a competitive New York primary. But look, New York is suddenly – I mean, she has to win New York. MR. ZELENY: And every indication right now is that she is leading in New York. She’s up by 12 points or so in most limited polling available. But the New York primary is a closed primary, unlike Wisconsin where anyone can come in and pick up a Republican ballot or a Democratic ballot. It’s closed, it’s designed to protect the establishment candidate. So you had to already be a registered voter by March 25th if you want to vote in the April 19th primary, which is a little more onerous than most places. But look, I was at a rally last night in The Bronx, the South Bronx, 18,000 people for Bernie Sanders. A question has been, is he able to attract a diverse group of supporters? At least on that night, last night in New York, he absolutely was. And it’s New York City, of course it’s diverse. But this is different than ’08. In ’08, California, New York, New Jersey were at the front end of the calendar on Super Tuesday in February. Now the reason he is staying in, all these delegates still are sitting out there, these big states are still to come. That’s why he’s staying in. MR. SANGER: Well, Jeff, assume for a minute that Hillary Clinton does make it past in the math here. You’ve seen all this excitement you’ve mentioned, including at last night’s rally. Where do those people go? We assume that they go to Hillary Clinton. Do they go to Hillary Clinton with any enthusiasm? MR. ZELENY: That’s a great question. And the person who may be able to draw them there may not be Hillary Clinton as much as Donald Trump should he become the Republican nominee. That’s the Clinton campaign’s sort of, you know, they kind of believe that, you know, people will vote against Trump. But I think the Democrats out there who support Bernie Sanders, I think, you know, will support Hillary Clinton. But he’s brought a lot of new people into the system who, you know, simply don’t like her politics and believe that it’s time for a change. So there will be a lot of healing to be done, I think more than in 2008 actually. MS. IFILL: OK. Well, we got a taste this week of one of the consequences of picking a president, the future of the Supreme Court. A dispute over public employee unions, that almost certainly would have been decided if there had been nine justices, ended in deadlock. And in an unusual circumstance, the Court appeared to be seeking compromise that would allow them to settle the latest challenge to the health care law. Joan, which one of those two things was more significant? MS. BISKUPIC: The labor union case definitely, Gwen. But first, those two incidences you refer to signal that this is a Court that’s very much on pause and the justices themselves don’t like it. But first for the union case, this is something that was argued on January 11th. And when the justices took up this challenge to a group of California teachers who didn’t want to have to pay what are known as fair-share fees. If they don’t want to join the union, they still had to pay some money because of the collective bargaining that the union would do. Challenged it on First Amendment speech rights. And the justices essentially had asked for this case to come up there because the conservative majority with Justice Scalia had been kind of chomping at the bit for this case. It’s argued in January, it looks like the Court is going to side with these challengers and say no, you don’t have to pay these fees, which would undercut the power of unions. Lo and behold, a month later Justice Scalia dies on February 13th. They’re deadlocked. And stacks and stacks of briefs, they end up issuing a one-sentence opinion that says the lower Court judgment is affirmed by a divided Court. And so what stands is the ruling in favor of the unions and that’s that. MR. BALZ: How many other four-four cases are heading our way? MS. IFILL: He didn’t used to like having five-four cases. MS. BISKUPIC: Right. (Laughter.) Well, yeah, he wanted broader majorities because he thought it would look like the Court had more consensus. MS. BISKUPIC: But the situation, Dan, is that we have four liberal members and we have four conservative members, so they are deadlocked naturally. But what they seem to be trying to do with the order that Gwen referred to in the Affordable Care Act birth control case is to say, you litigants, help us reach a compromise here, help us figure out a way that we can meet you part way, we can help you help us help you kind of thing, because they don’t want that. But we’ve got abortion coming. We’ve got a voting rights case. We’ve got affirmative – actually, affirmative action is the one case you will not see a four-four split. You know why? MS. IFILL: Oh, she recused herself. That’s right. MS. BISKUPIC: Yes. So we’ll probably have a ruling there. MR. ZELENY: I mean, these conversations are all linked, obviously, who becomes the next president and if it’s Donald Trump becomes the nominee and whatnot. What does that have to do, do you think, with the chances for Merrick Garland at least getting a hearing? And what is the state of that? A couple of Republican senators at least are calling for a hearing. Mark Kirk of Illinois is. Where does that stand on the legal side? MS. IFILL: Yeah, we have a little sound from Mark Kirk meeting with Judge Garland this week. SENATOR MARK KIRK (R-IL): (From video.) I think we should do our job and make sure that, as the president put forward Judge Garland, we should give him advice and consent. MS. IFILL: And he went on to say that they were close-minded not to meet, his colleagues were close-minded not to meet with him. MS. BISKUPIC: Well, that message isn’t resonating among his colleagues. Susan Collins, Republican of Maine, will meet with him next week, according to the schedule. But we’re not seeing a lot of Republicans lining up. And there’s a really formidable barrier here in Mitch McConnell who, before Justice Scalia’s death had barely been confirmed, immediately said no hearings, no meetings, no way. I think we’re into next year. MR. SANGER: – why is the White House so desperate at this point to get hearings going, to have some kind of hearing for Merrick Garland? MS. BISKUPIC: They believe that when Merrick Garland introduces himself to the American people through televised hearings that folks will say, look, he’s moderate, what’s the threat here, there’s no reason to hold him back. Sure he’s not right-wing like Justice Scalia, but he doesn’t seem to be the kind of person who would rule in an extreme way. It seems like it would be a sense of fairness because he actually is about the most centrist individual that President Obama could have named, given President Obama’s priorities for the bench. So I think what they feel like is that’s another step of progress toward introducing him to senators and to Americans, and that once you had hearings it would be easier to have a Senate vote, even if it’s in the lame-duck session. MS. IFILL: So what do you think is going to happen? MS. BISKUPIC: – because of Mitch McConnell. If Mitch McConnell wasn’t there, having thrown down that marker, I would say that they would make progress, because the White House has already made some progress, you know, already made some progress with Republicans. President Obama has made it a major priority. But I actually think we’ll be sitting around here in January of 2017 with an eight-justice Court. MS. IFILL: Oh, joy. Something to look forward to. Thank you all very much. Thank you as well. We have to go now, but as always the conversation continues online on the Washington Week Webcast Extra where, among other things, we’ll talk about today’s nuclear summit in Washington. You can find it later tonight and all week long at PBS.org/WashingtonWeek. Keep up with latest developments with me and Judy Woodruff over on the PBS NewsHour. And we’ll see you here next week on Washington Week. Good night. More than 50 world leaders gathered in Washington to discuss nuclear security. 44 min 36 sec ago. 50 min 39 sec ago.